Stories on Earth’s past & present and sciences’ future: This blog features the work and experiences of scientists who are still in the early stages of their careers. This blog is hosted by PAGES ECN as a platform for early-career researchers to share their stories. The authors are solely responsible for the content of their posts. Neither PAGES ECN nor the blog reviewers take any responsibility for any views expressed. All content, figures and data published in posts belong to the author, unless stated otherwise, and are subject to copyright. Newspaper Reports in Romania – What Do They Tell Us about Extreme Meteorological Events of the Early 19th Century? Extreme meteorological events, such as droughts or floods, are expected to increase in many parts of the globe under predicted climate changes of the next decades (Fig. 1). Yet, the forecasted frequency, intensity and occurrence of extreme meteorological events include large uncertainties as they depend upon location and season. These events are of particular interest for society as they can cause important human, economic and environmental losses. To better understand extreme meteorological events and to improve future meteorological forecasts, we rely on information extracted from natural archives such as tree rings, peat bogs, lakes and fluvial deposits (associated with rivers and streams). Natural archives provide information over hundreds and thousands of years back in time and are complemented by historical and instrumental data in the more recent past spanning few centuries. During my usual surfing on the internet catching up with new science content, I stumbled upon a very exciting article published just a few weeks ago in the journal Nature Scientific Reports . In this recent publication, a climate cooling that occurred about 8,200 years ago was clearly identified in a pollen record from South Korea. This particular cooling [SPOILER ALERT] has largely been recognized in many other areas of the Northern Hemisphere. The article presented the first evidence for its occurrence in coastal East Asia. As a trained palynologist with interest in paleoclimatology I have always been fascinated by these kinds of studies. Nonetheless, I was equally intrigued by the fact that, as far as I know, there is not much evidence for such a cooling event in the Southern Hemisphere. In the fall of 2017, during my first semester of graduate school, I joined the science team aboard the University of Hawaii’s R/V Ka’imikai-O-Kanaloa for a deep-sea submersible diving cruise. During the course of my 30 days at sea, we traveled to several seamounts (former islands now sunken beneath the ocean’s surface) in the Pacific. 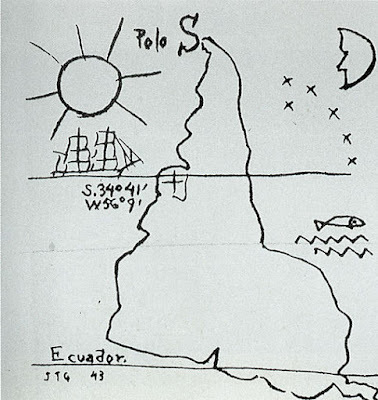 There we sent manned submersible vehicles to the ocean floor to do surveys of the overall health of the deep-sea coral reefs found there, as well as to collect some very rare live and fossil (dead) coral samples. 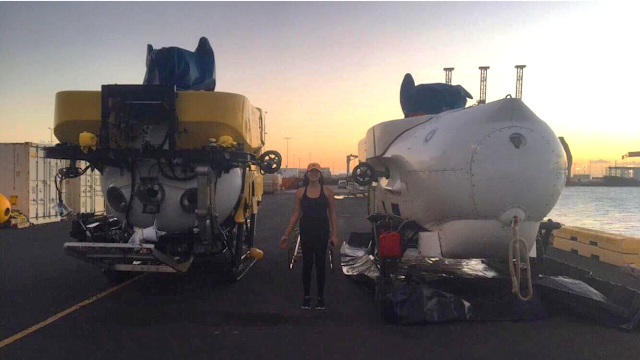 I cannot reveal the names of the sites we visited or the exact nature of what we observed during our dives as this project is still ongoing, but I’d like to share a bit of what it was like doing research using submersible vehicles. What is a submersible vehicle? I consider myself socially awkward; an introvert if you will. I best relate to the fictional character Tina Belcher from Bob’s Burgers; walking through life in my own hilarious and charismatic way while simultaneously finding myself sweating at the idea of walking up to complete strangers at conferences or workshops and introducing myself. 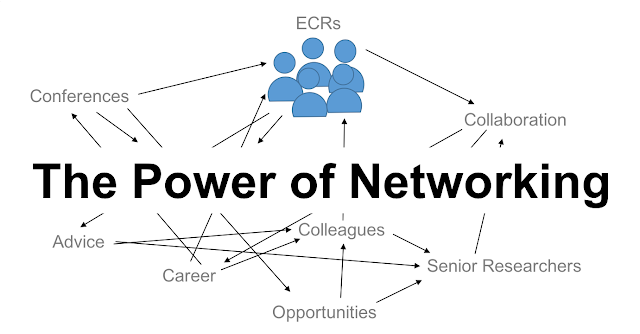 Yet, here I am writing about my personal experiences regarding the power of networking at conferences and workshops. The PAGES Early-Career Network (ECN) aims to increase the visibility of the work of early-career researchers in paleosciences and provide opportunities for collaborations, public outreach and training.